The one-stop-shop resource that empowers landlords of the rental process. 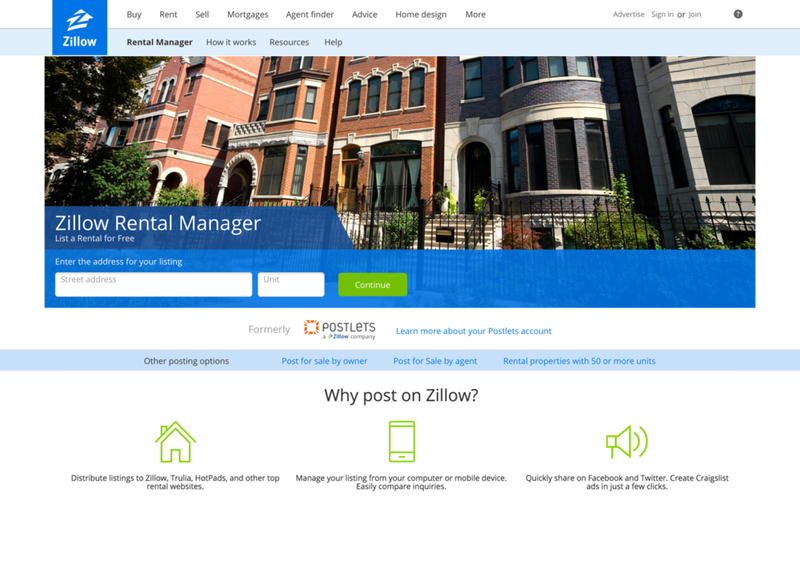 Zillow Rental Manager enables landlords to own the rental process. From marketplace pricing, finding their next tenant to collecting rent. Zillow Rental Manager gives landlords control of each step and confidence to run a successful investment. I led the design for the landlord facing product. By making the homepage welcoming, easy to navigate, and focusing on the content, the redesign aims to build trust with landlords to list with Zillow. Using content strategy to build confidence with landlords.